March 16, 2017, 1:20 p.m.
By Joseph Lichterman @ylichterman March 16, 2017, 1:20 p.m.
President Trump on Thursday released his administration’s first budget blueprint, which among other cuts proposes eliminating all federal funding to the Corporation for Public Broadcasting. There’s still a long way to go before the budget is finalized — it’s Congress that passes the budget, and it’s under no obligation to take up Trump’s priorities — and we don’t know yet how CPB’s funding will ultimately be affected. But we do have some sense of what the public broadcasting system might look like if the budget passed as Trump has proposed it. The funding cuts would affect the system at multiple levels, the study found. Many of the larger entities — such as Boston’s WGBH, NPR, and American Public Media — “would be forced to cut already lean production budgets,” cutting back or raising prices for local stations that want to air the material. More than 70 percent of CPB’s appropriation is distributed to local stations, most of them in small markets or rural areas. These stations are heavily dependent on federal funding because they can’t generate enough revenue through pledge drives or other means to keep them going. 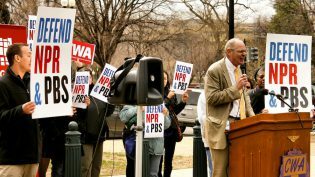 “In a world where Congress no longer provides funding for public broadcasting stations, the public television and radio stations (and the related national organizations) would ultimately not be able to raise the funds necessary to replace the federal appropriation,” the report said. Ultimately, the system itself would be at serious risk of collapse. Even if it would survive, the public broadcasting system in the United States would suffer with reduced numbers of stations resulting in gaps in service, and the remaining stations would be impoverished. This would dangerously impair public broadcasting‘s ability to help create and maintain the educated and informed citizenry that is required for a healthy democracy and civil society. 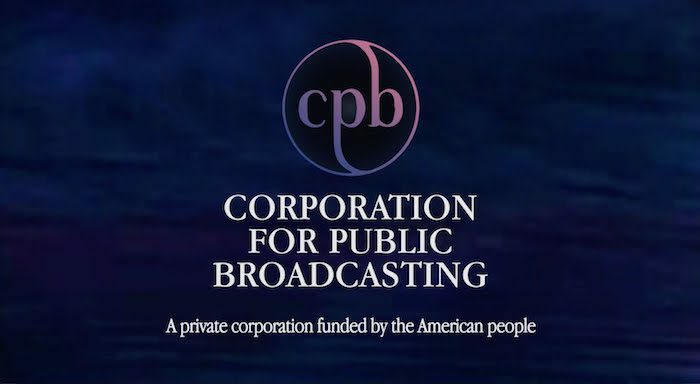 While it remains to be seen whether CPB’s federal funding will be eliminated, a proposed similar loss of state funding is already impacting at least one public broadcasting system. 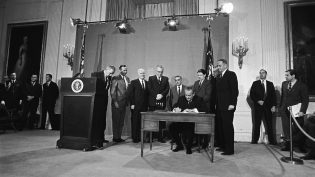 2017 marks the 50th anniversary of the Public Broadcasting Act, the legislation signed by Lyndon B. Johnson in 1967 that established CPB and the modern American public broadcasting system. Public Television programming can deepen a sense of community in local life. It should show us our community as it really is. It should be a forum for debate and controversy. It should bring into the home meetings, now generally untelevised, where major public decisions are hammered out, and occasions where people of the community express their hopes, their protests, their enthusiasms, and their will. It should provide a voice for groups in the community that may otherwise be unheard. Public Television programs can help us see America whole, in all its diversity. To a degree unequaled by any other medium, Public Television should be a mirror of the American Style. It should remind us of our heritage and enliven our traditions. Its programs should draw on the full range of emotion and mood, from the comic to the tragic, that we know in American life. It should help us look at our achievements and difficulties, at our conflicts and agreements, at our problems, and at the far reach of our possibilities. Public Television programs should help us know what it is to be many in one, to have growing maturity in our sense of ourselves as a people. The authors of the report, however, knew that funding would be an issue and took steps to try and protect the corporation from political maneuvers like Trump’s plan. The Carnegie Commission proposed creating a tax on every new television set purchase that would fund the corporation and keep it out of the annual budgetary process. POSTED March 16, 2017, 1:20 p.m.
Lichterman, Joseph. "This is what could happen if Donald Trump’s plan to eliminate funding for public broadcasting is enacted." Nieman Journalism Lab. Nieman Foundation for Journalism at Harvard, 16 Mar. 2017. Web. 24 Apr. 2019. Lichterman, Joseph. "This is what could happen if Donald Trump’s plan to eliminate funding for public broadcasting is enacted." Nieman Journalism Lab. Last modified March 16, 2017. Accessed April 24, 2019. https://www.niemanlab.org/2017/03/this-is-what-could-happen-if-donald-trumps-plan-to-eliminate-funding-for-public-broadcasting-is-enacted/.